New Language Test Requirements for Family Route Migrants. A2 English Test. On the 18th of January 2016, the Government has announced a new language requirement “A2 English Test” for migrants on a family visa who are seeking to extend their stay in the UK. Under the new regulations, non – EEA national partners and parents on a family route visa will need to take and pass a speaking and listening at level A2 English test in order to qualify, this would be after two-and-a half-years in the UK, for further leave to remain on the five-year partner or parent route to settlement. 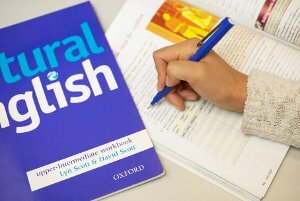 The government has introduced the new A2 English test requirement in accordance with their manifesto to ensure that those who enter the UK on a family visa with Basic English will improve and be more fluent over the oncoming years. This will allow people to better engage in day to day lives. The above will affect all applicants who have applied for a UK spouse visa on or before 9th July 2012 and now going for an extension on their spouse visa. The above requirement will not be implemented until October 2016 leaving sufficient time for those affected to prepare for the new test.